Selena Wallace, founder of Wallace Model Management, took time to answer a few questions about what the modeling world is really like. 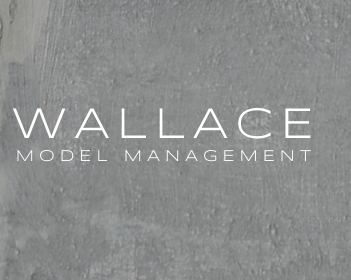 Wallace Model Management is a boutique management firm that represents high fashion models and launches international modeling careers. Their models have graced the pages of high fashion magazines including Vogue, Elle, Harper’s Bazaar and modeled for designers like Givenchy, Yves Saint Laurent and Ralph Lauren. Most models are discovered at a young age, well before they are ready to actually work in the industry. There are many steps that need to be taken before they can start working, the development process involves education about the industry, health and nutrition. A model must be in top physical, mental and emotional condition to have a successful start in the industry. Every model’s journey is different. Ideally we do not like to start any model full-time before they finish high school. Patience is a virtue! What is the benefit of a model signing with a management company like Wallace Model Management? I believe management is necessary for any model who has the potential to work on an international level with multiple agencies worldwide. It can be a very complicated business to thrive in and the services of a professional manager with experience are of great benefit to those who are looking to have a long and successful career. Outside of physical characteristics, what are a few qualities that you look for in a model when deciding if they are a good fit for representation? Work ethic, ambition, personality and confidence are absolutely necessary. Top models are way more than just pretty faces. I have seen many young models who physically have great potential, fail owing to a lack of something extra that makes them different than everyone else. What is one question you ask every time you interview a potential model? Will you work hard for this? A model I represent has to show me that she is willing to put in the hours at the gym, keep her grades up, learn about the industry, all with no guarantee of success. This is the type of girl that I will fight for. 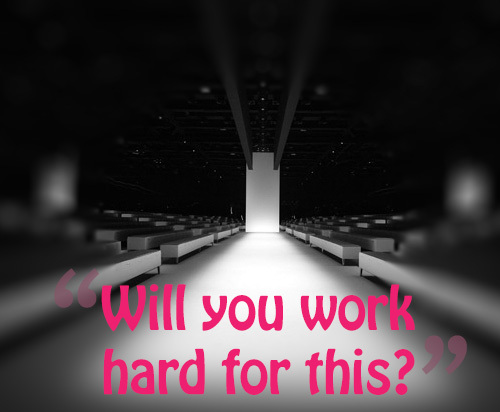 Do you have any pet peeves of things models should be weary of doing or saying when working with an agency? Oh there are many! The one thing the will end a models career before it can even begin is a bad attitude. Clients and agents will not work with and for a model who does not appreciate the opportunity to work in an industry that very few get to be in. It is a job and you need to handle early calls, tough clients, clothes you don’t personally like, and long days – and you need to do it with a smile on your face. What is the strangest submission for representation that you have ever received? Well, I would not want to embarrass anyone, but I do receive a lot of submissions from men, which I do not represent. It’s stated quite clearly on my website! You represent B arbizon alum and high fashion model Nikayla Novak who has worked on many projects including an editorial spread in Elle UK and walked the runway for Ralph Lauren. How did you discover her? Nikayla was actually discovered by the lovely Jamie Mannella, vice president of advanced scouting at Barbizon! I met Nikayla when she was 12 years-of-age when she attended the Barbizon competition in Boston. She is now 18 and in New York City full time with DNA Model Management. She has a very big career ahead of her! We heard that before starting Wallace Model Management you used to work as a model. How do you think the modeling industry has changed since then? I was, and it couldn’t be more different. Technology has had the hugest impact on our business. From social media to digital photography to e-commerce, it has completely reshaped the way we as agents and managers handle models, and the way clients advertise their businesses. Take it seriously. It is a job, just like any other, but there can be a lot of money involved. Models that make it to the top of the game are professional, hard working, intelligent, easy and creative to work with, and above all respectful. The models you represent work all over the world. Where do you consider the pinnacle of the fashion modeling world to be and why? Ready to audition for Barbizon’s modeling, acting and personal development program to start following your dreams?